Cute cat photos on the internet have helped launch the "careers" of many celebrity felines, like Grumpy Cat, Maru and Lil Bub, just to name a few. 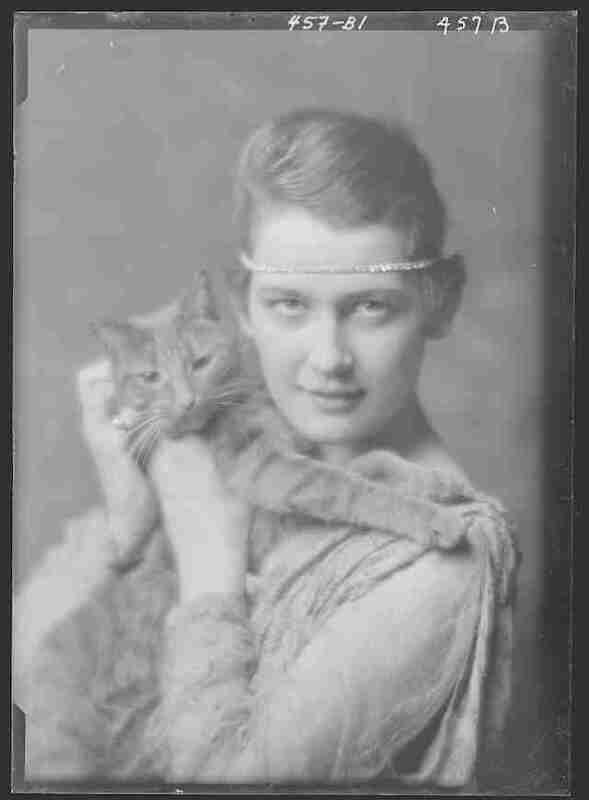 But long before there was Instagram and YouTube, one handsome kitty found fame the old-fashioned way. 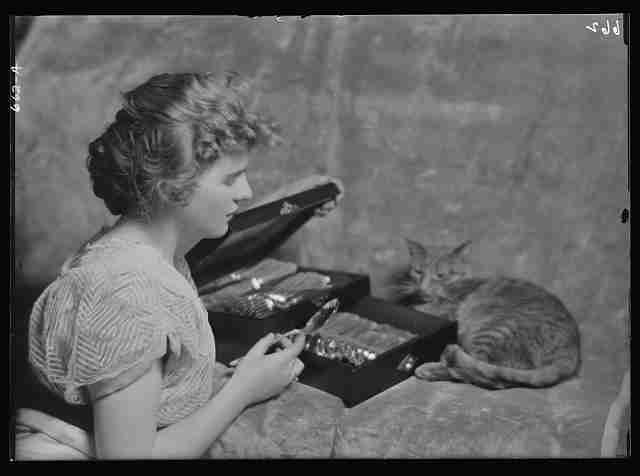 This is Buzzer, once declared "the most photographed cat in America." 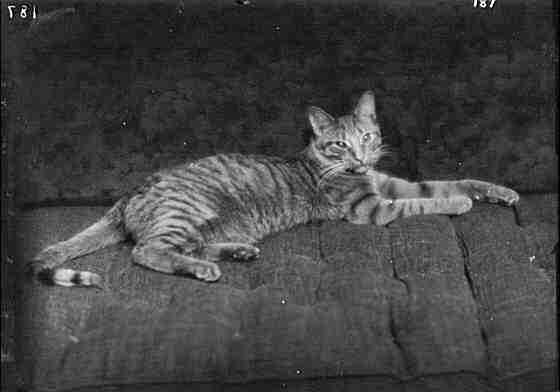 The handsome striped cat rose to prominence thanks to his owner, photographer Arnold Genthe, for whom Buzzer was a favorite subject. 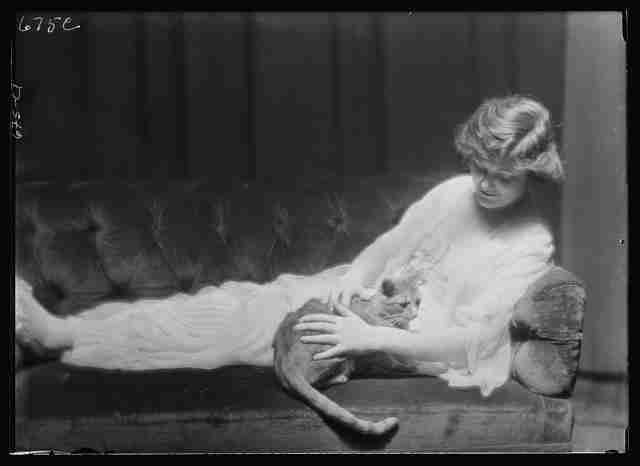 Not long after emigrating from Germany to San Francisco, in 1895, Genthe opened a studio and soon established himself as one of the most famed portrait photographers around. Genthe's wealthy clientele ranged from prominent thinkers, socialites and writers, to starlets of the stage and screen. Not only did Buzzer meet them all, he was often featured in photos right alongside them. Marina Kaneti, who curated an exhibition of the Genthe's work in 2014, told The Dodo that Buzzer - the fourth in a succession of cats that Genthe had by that name - was more than just a prop; he was a cherished muse. 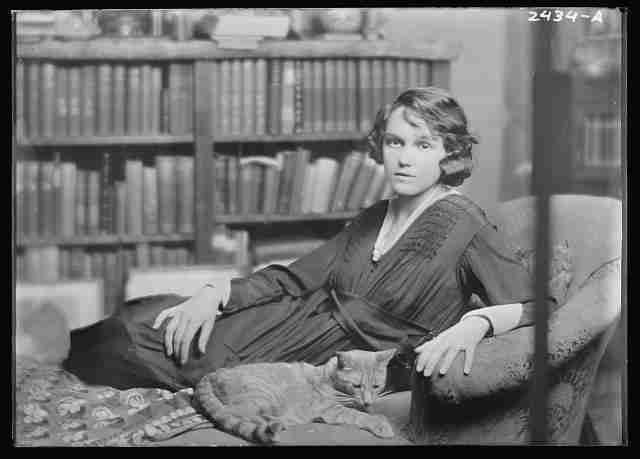 "Arnold Genthe loved cats," she says. 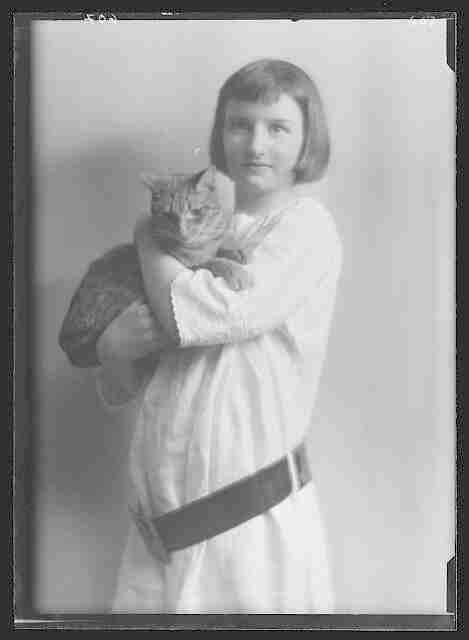 "He also had many lady friends, and they were always fascinated with his cat. 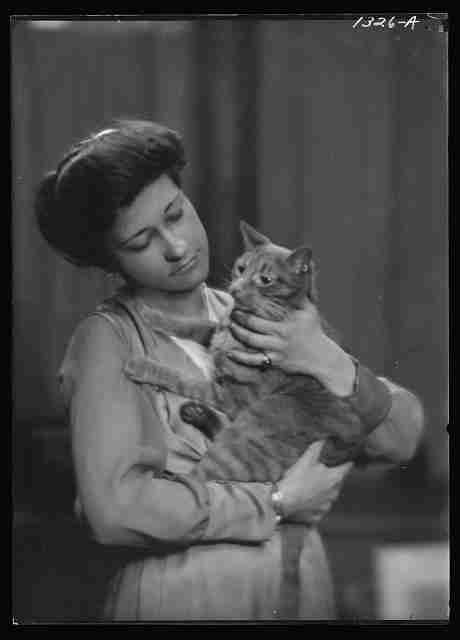 So the combination of women playing with a cat was something very special to him." Genthe was among the first photographers to use a camera fast enough to capture subjects who might be unable, or unwilling, to sit still long enough not to have their image be blurry. "He was always interested in capturing movement. I assume the movement and the poses that the cat would take, or not take, was something that intrigued him," says Kaneti. 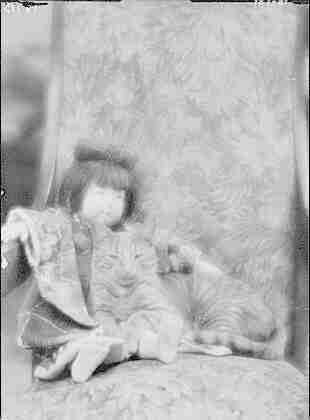 "For early photography, when cameras were much slower, capturing movement was pretty much impossible. So he was one of the first ones to be able to do that." 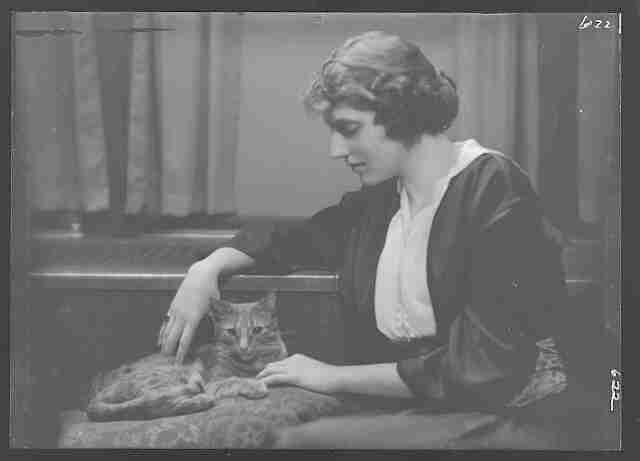 In his autobiography "As I Remember," Genthe mentions the lovable cat with an air of esteem not often granted to pets in that era, or even now. 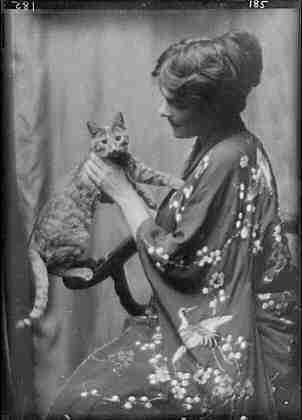 "Buzzer IV, whom I had with me for eighteen years, was a large, short-haired yellow cat - half Chinese, half Persian - looking more like a small tiger. He was very haughty, but never vicious, and he seldom condescended to make friends with strangers," Genthe writes. 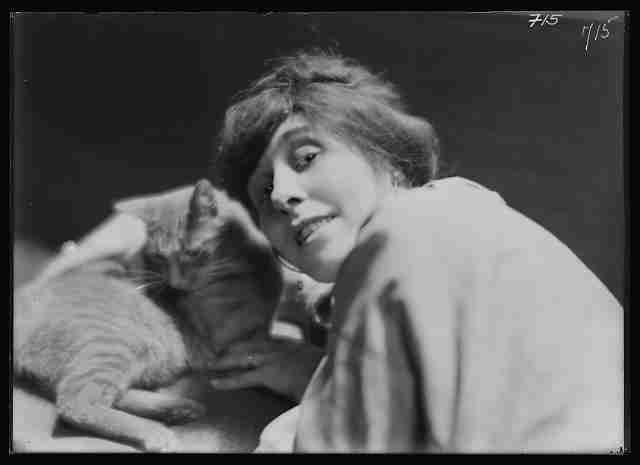 "In the course of years I made innumerable photographs of him, and some of the pictures, especially those posed with [actors] Billie Burke, Jane Cowl, Martha Hedman, and Marguerite Churchill, were reproduced in Sunday papers," writes Genthe. Given the cat's proximity to so many famous people, he naturally gained a notoriety all his own. "Once, a whole page (of the Boston Herald) was devoted to 'Buzzer, The Most Photographed Cat in America,'" Genthe writes. "Buzzer was certainly an important figure in my studio and even today, years after his death, he is fondly remembered by young and old. I sometimes was accused of paying more attention to that cat than to people. Possibly I enjoyed his contented purr more than the idle chatter of an inopportune caller. I have not found another cat to take his place." 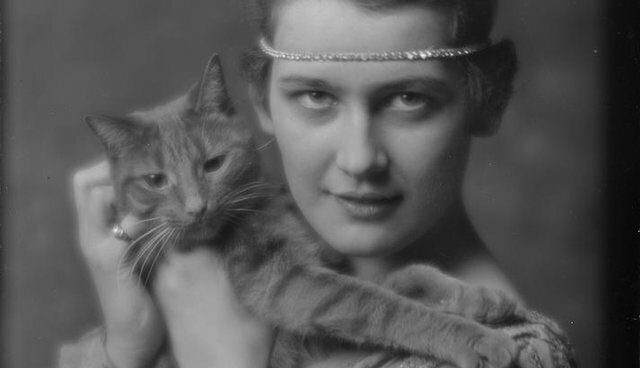 In the years since, Buzzer's notoriety may have faded from the American consciousness - but thanks to Genthe's celebration of his beloved pet in so many photographs, his image and memory will live on in perpetuity.